If, like me, you've been paying attention to what's happening at the A/W 2010 shows, you might find it confusing thinking about a spring/summer wardrobe. Particularly over the past couple of weeks, when it's been cold cold cold. Though it's warmer, it's only been warmer for a couple days, so naturally I still have dry winter skin. 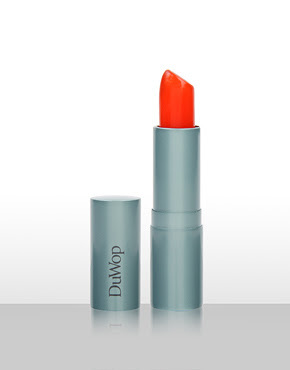 My lips are particularly bad, so I want to get some more of DuWop's iced tea lipstick. If you can get past the weirdness of the combination of minty-ness with fruit flavours, you will become addicted. They provide lovely translucent colour and sunscreen while your lips tingle their way back to softness. My favourite strawberry kiwi (not as orange as it looks in the photo). I love the chainmalle harness that makes up part of Balmain's torn up S/W 10 look, but since I'm neither an heiress nor a celebrity, I'll have to find an alternative. I Heart Norwegian Wood is the current queen of affordable harnesses, or I could splurge and go for one of Fannie Schiavoni's pieces from Browns or Kaibiri. I found my way to the Sibling website because I follow Style Bubble, and blogger Susie has been looking cute as a button in the label's breton jumper. 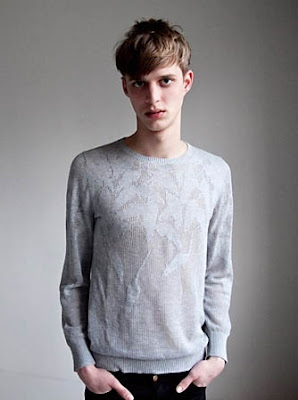 I'm all for mixing it up gender-wise, women wearing men's clothes and vice versa, so this lace patterned jumper is now on my wish list too. 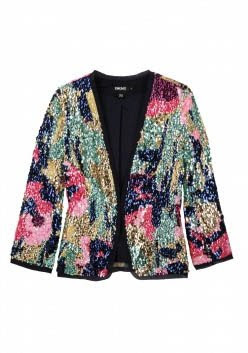 I'm still looking out for the perfect sequinned garment, and because I can't afford DKNY's garden print jacket, I'm considering this embellished jacket from ASOS. 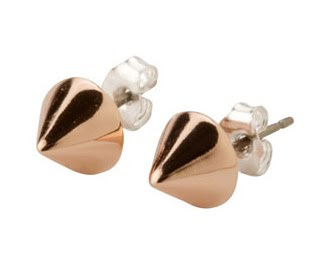 And, to offset all these soft spring colours and styles, I want to get these Anna Sheffield stud earrings from Liberty.